Whether it’s an extravagant celebration or an intimate occasion, you see to it that every detail of your special day is well taken care of. You may want to pay attention to the theme and color motif of your wedding. Based on Feng Shui, colors should produce harmony between the bride (Yin) and the groom (Yang). 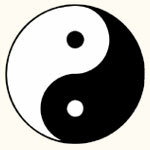 Furthermore, black, the color of Yin in the Tai-Chi symbol, represents a woman while white, the color of Yang, represents a man. Their respected energies should harmonize with their partner’s energy. To do so, one has to bear his or her opposite color. This is why a man usually wears a black suit and a woman wears a white dress during their wedding. Aside from personal colors, the color of your environment may affect your relationship in the future. Creating a color palette that conveys a positive energy may contribute to marital happiness. Here are some color combinations and their meanings. As for dates, the auspicious dates for weddings depend on several factors. One is your Chinese birth signs, represented by the 12 animals (Rat, Ox, Tiger, Rabbit Dragon, Snake, Horse, Ram, Monkey, Rooster, Dog, and Pig); the other is the 5 elements (wood, fire, earth, metal and water). 2009 is the Year of the Earth Ox. This year may be advantageous or may be challenging depending on yours and your partner’s birth signs. But generally, here are the fair and lucky dates to get married in 2009. Whether aiming for a prosperous or successful marriage, what is important is that you should enjoy your special day. You should choose based on your preferences and what will make you happy. But a few adjustments won’t hurt, especially if it gives out good luck. Congratulations to 2009 weddings!